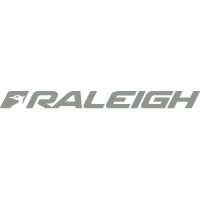 Raleigh Record 26x1 3/8inch (AKA 37-590) tyre. The tyre's pronounced tread offers decent grip. Its blackwall casing is very stout - should be good for years of service. This tyre will not fit 26 inch mountain bike wheels. 560g based on weighing a Raleigh Record T26x1 3/8inch tyre at Bike Co-op HQ in November 2015.